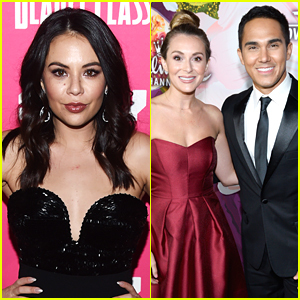 Alexa & Carlos PenaVega’s Hallmark Movie ‘Enchanted Christmas’ Airs Tonight! | Alexa PenaVega, Carlos PenaVega, Television | Just Jared Jr.
Alexa & Carlos PenaVega's Hallmark Movie 'Enchanted Christmas' Airs Tonight! Looks like Carlos PenaVega has a surprise up his sleeve for Alexa PenaVega in this still from their movie, Enchanted Christmas, premiering TONIGHT! Here’s the summary: Young widow Laura Trudeau (Alexa) was a remarkable dancer. 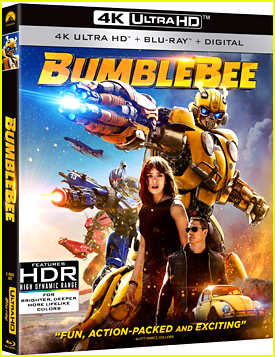 As a project manager she is tasked with renovating a dilapidated lodge in her hometown of Rosemont, Utah and have it ready by Christmas Eve and is stunned to discover it’s the same lodge where she and her former love and dance partner Ricardo Archuleta (Carlos) performed each Christmas. While surveying the property Laura comes face-to-face with Ricardo shocked to discover he is rehearsing the show”s grand finale with his new dance partner Taylor. When Taylor has an audition abroad, Laura temporarily steps in and finds herself back in Ricardo’s arms. Feelings begin to resurface in the hope of rekindling their romance just as Taylor returns with a once-in-a-lifetime opportunity for Ricardo. Laura, not wanting to get in the way of Ricardo’s dream, encourages him to go. Now with both the hotel opening and the show in jeopardy, Laura is faced with having to make some difficult decisions, both personally and professionally. Enchanted Christmas airs TONIGHT @ 8PM ET/PT on Hallmark Channel. 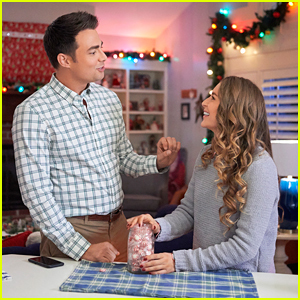 Alexa PenaVega Gives Jonathan Bennett a Holiday Makeover in 'Christmas Made To Order' Movie! 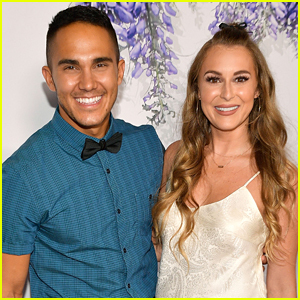 Get All The Details On Alexa & Carlos PenaVega's New Movie, 'Love at Sea'! Alexa & Carlos PenaVega Are Filming a Movie on a Cruise Ship!